The president of BJP, India’s ruling party, has appeared as a witness for a former minister who was convicted for playing a role in the 2002 anti-Muslim riots in the western state of Gujarat, reports BBC. Maya Kodnani is accused of inciting a mob which killed 11 people in the Naroda Gam area of Ahmadabad. Amit Shah, one of India’s most powerful politicians, told a special court that she was at the state assembly that day. The riots left more than 1,000 people, mostly Muslims, dead. It is among India’s worst outbreaks of unrest. 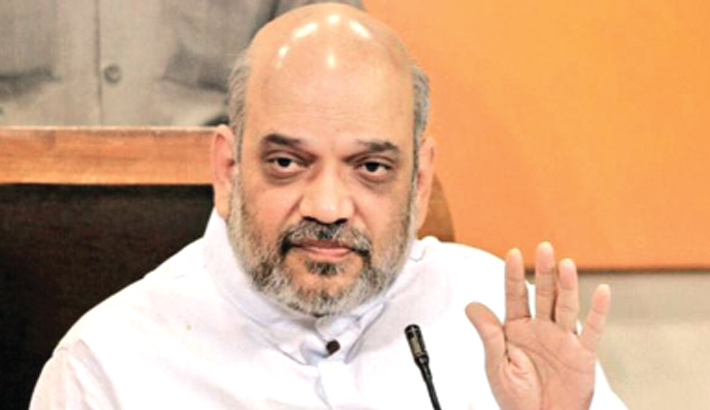 Shah appeared as a defence witness and told the Gujarat high court that Kodnani was in the state assembly before going to a city hospital on February 28, 2002. He appeared before the special court in response to a summons issued on Kodnani’s application. “Amit Shah told the court that he cannot tell where Kodnani could have gone after she left the assembly and before she reached Sola Civil Hospital. He said that he could not tell exactly at what time Kodnani had reached the hospital,” Suresh Shah, the special prosecutor in the case, told BBC Gujarati’s Vijaysinh Parmar. Shah did not specify exact times of her whereabouts, the prosecutor added. Shah’s testimony lasted for 40 minutes. Kodnani wanted 14 witnesses to be examined to establish her alibi that she was at the assembly, the city hospital and then at her own clinic in Ahmadabad.